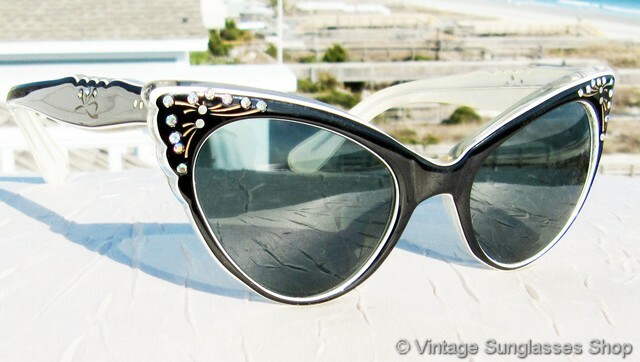 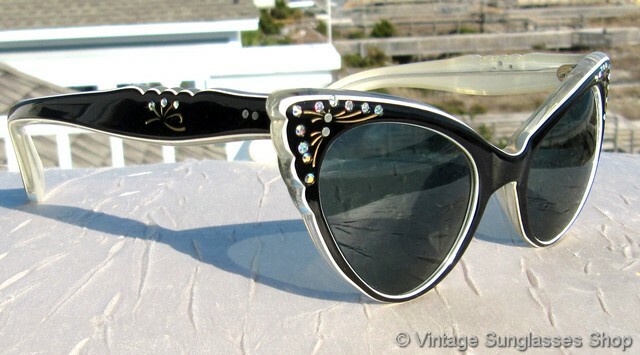 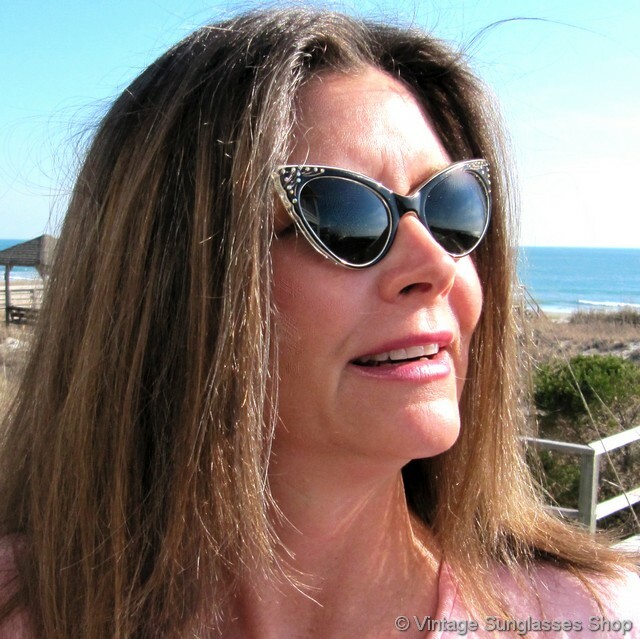 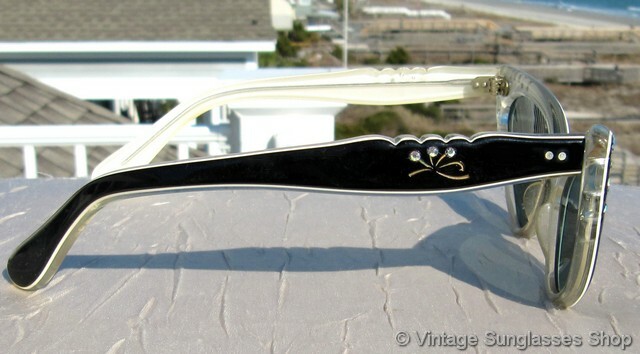 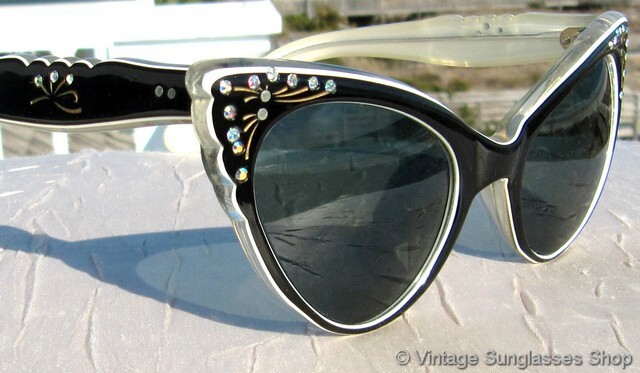 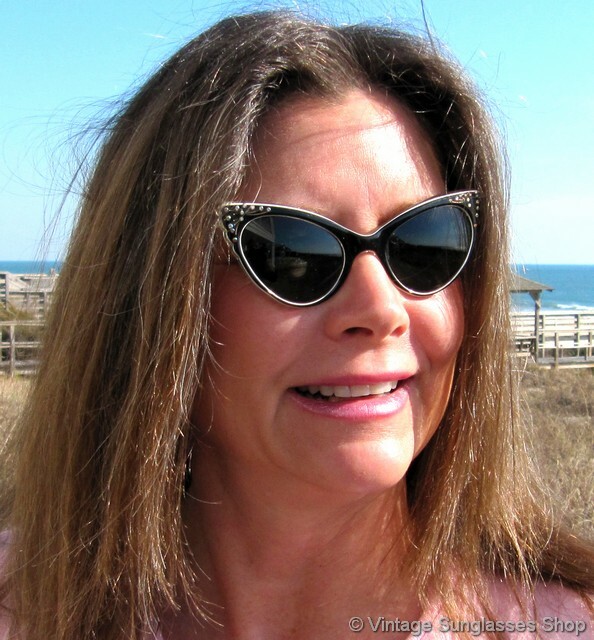 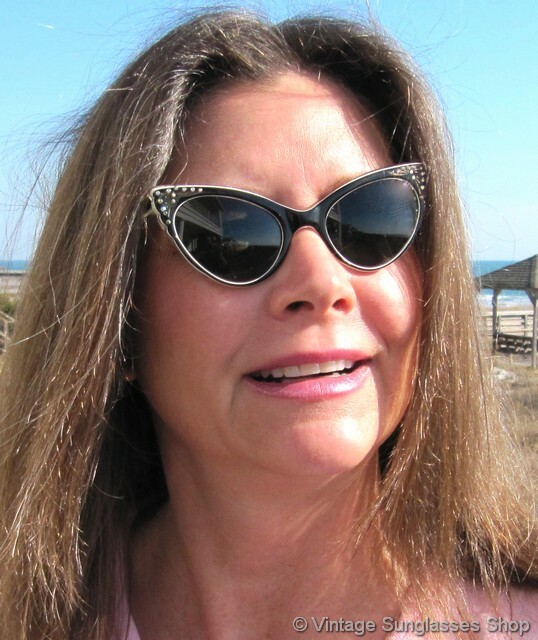 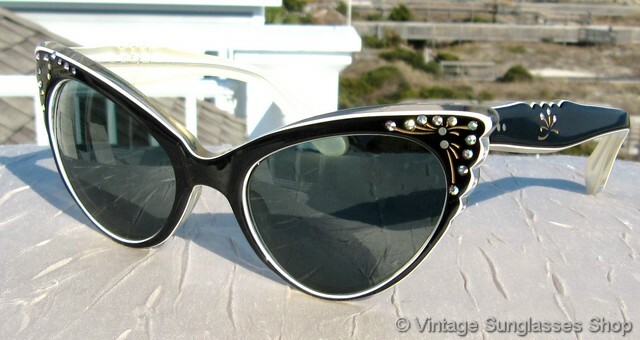 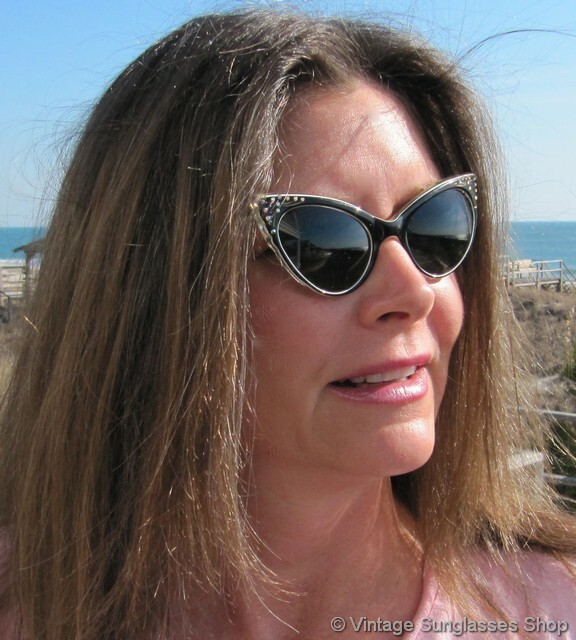 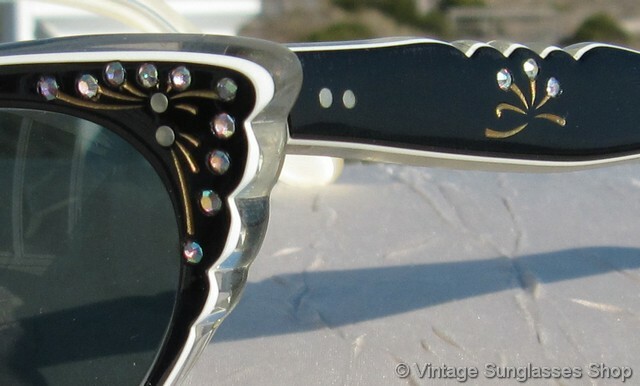 Vintage JH French cat eye sunglasses feature an amazing sandwich design frame that's black on the outside and clear on the inside, elaborately decorated with rhinestones on both temples and ear stems. 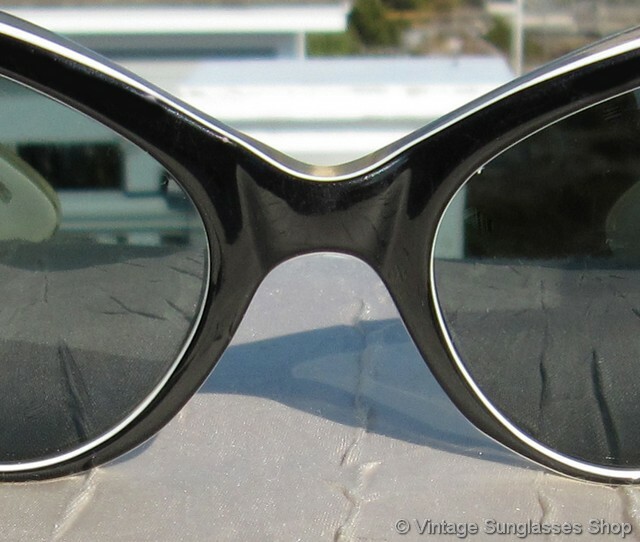 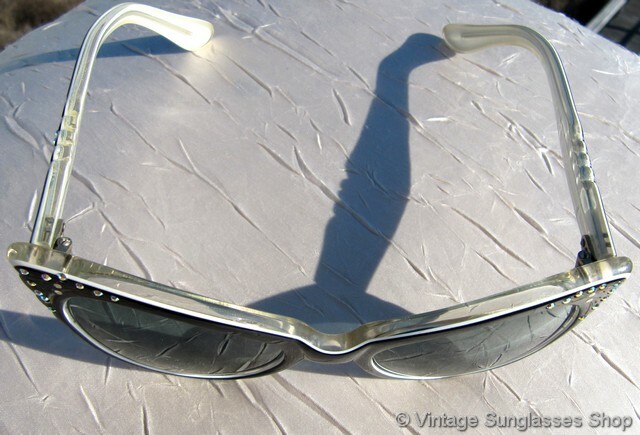 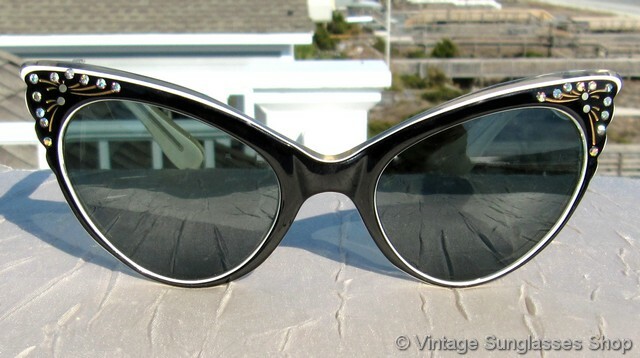 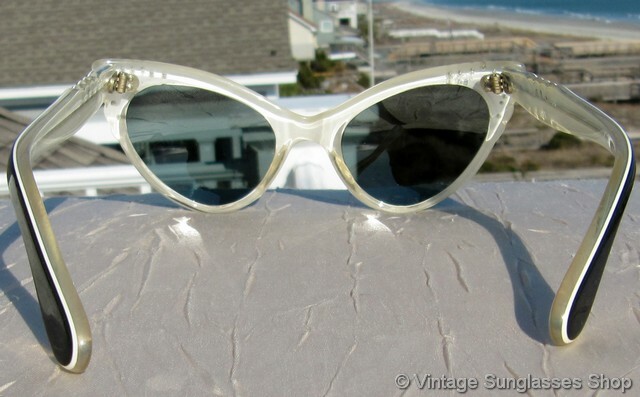 There are other elements of design flair including the arches cut into the ear stems above the inset rhinestones, and all together this is one of the finest pairs of vintage 1950s French cat eye sunglasses we've seen in quite a while. 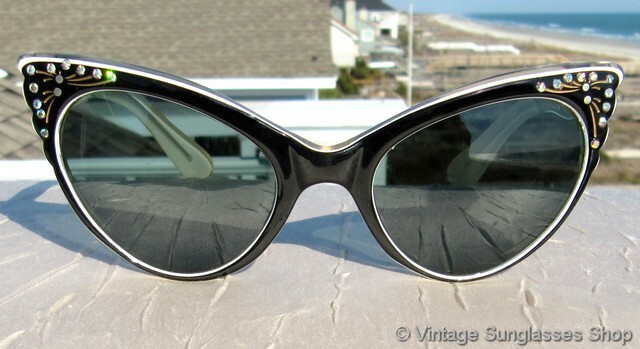 The French frame measures approximately 4.875" temple to temple, and the lenses measure approximately 1.75" x 1.25" at the widest points. 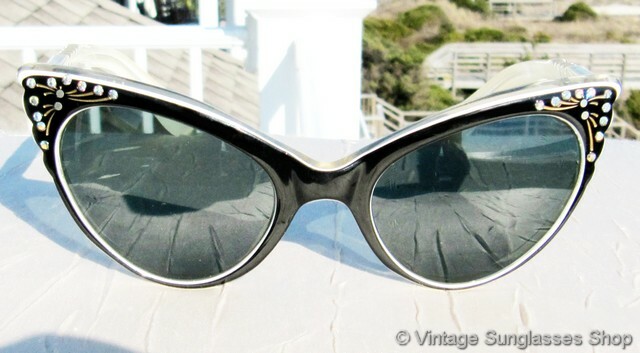 The nside of one stem is impressed JH along with Frame France, an incon of mid 20th century sunglasses design from a great estate collection of vintage eyewear in La Jolla, CA.